Norfolk and Suffolk NHS Foundation Trust, has announced that Professor Jonathan Warren has been appointed as its new Chief Executive. Jonathan will begin working with our outgoing Chief Executive, Antek Lejk from early April as he transitions fully to this new role. Jonathan is a widely respected and experienced senior manager and clinical leader, with 35 years’ experience in a variety of healthcare settings but predominantly within mental health. 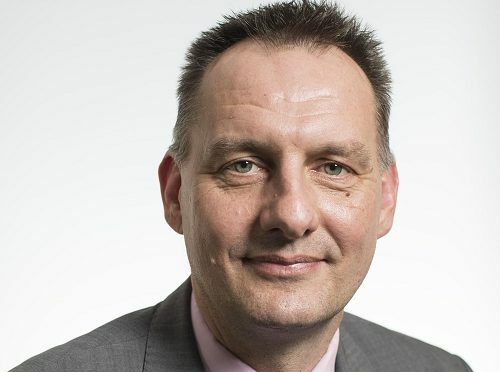 Previously to working with NSFT as its Director for Improvement, Jonathan was Deputy Chief Executive and Chief Nurse for Surrey and Borders Partnership NHS Foundation Trust, including 10 months as Acting Chief Executive and before that he occupied a similar role at East London NHS Foundation Trust. Jonathan has a track record of leading organisations to improve their Care Quality Commission rating, both at Surrey and East London, with the latter being the first combined mental health and community health services Trust to achieve ‘outstanding’. Professor Warren’s leadership is defined by his meaningful engagement with patients, carers and staff and creating the conditions where they can lead and deliver improvement. Jonathan also has a national profile as a specialist advisor to the Care Quality Commission and the National Mental Health Patient Safety Project. In addition, he has received international recognition for his work on quality improvement. Jonathan has been appointed for two years and will continue and accelerate our focus on improving the quality of our services and improved outcomes for our service users. This will include improving our partnership working and he will, therefore, be arranging a conversation with you to understand how we can work better together.